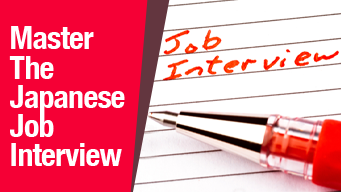 One of the most important steps in the job application process is the interview. Going for a job interview can be an incredibly stressful experience but by following these tips you can be sure to ace the interview. 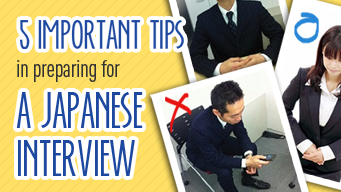 What are some key Japanese phrases for the job interview? We sat down with Mr. Daniel Scott of Nichii Gakkan, the parent company of Coco Juku to give us some insight into what he looks for during the job interview. He cites enthusiasm, experience, performance with past employers and strong communicative ability, among others, as some of the important things that he looks for. He also stresses the importance of being prepared for the interview. Daniel is especially interested in knowing why the candidate wants to work for Coco Juku. Doing a keyword search for Nichii Gakkan (ニチイ学館) or Coco Juku (COCO塾) is a good way to research the company and learn more about your potential employer. A common question that gets asked is can a non-native English speaker apply for an English teaching job? Pay close to attention to the video at the 4:45 mark as the answer from Daniel is most certainly yes! Daniel explains that since English is a global language, it is important for their students to be able to understand English from a wide variety of teachers and accents. And as long as the instructor speaks in a clear and confident manner they are open to hiring non-native English speakers. Upload your resume to apply for jobs at Coco Juku.